Writing is a form of communication that has been around for thousands of years and while the written word has progressed from ink on parchment to typesetting on paper to inkjet on gloss, the basic form of storytelling has remained the same. And then along came blogging. Nothing has changed the art of writing more than blogging and it can be argued that blogging has ruined writing. As a writer, it’s easy to read a blog and wonder, who writes this stuff? Bloggers can’t be real writers, you think, because they tend to churn out short, pithy articles that attempt to solve problems rather than analyze them. Having done both print writing and blogging for the web, I say you would be right. One hallmark of good writing is varying your language in order to keep the reader stimulated. Nothing is more boring than reading the same words over and again and once more. With blogging, you’ll need to exchange your thesaurus for Search Engine Optimization, better known as SEO. SEO dictates that you pepper your posts with keywords so search engines will know you are serious about that subject and push more readers to your post. The longer the post, the more the keywords. 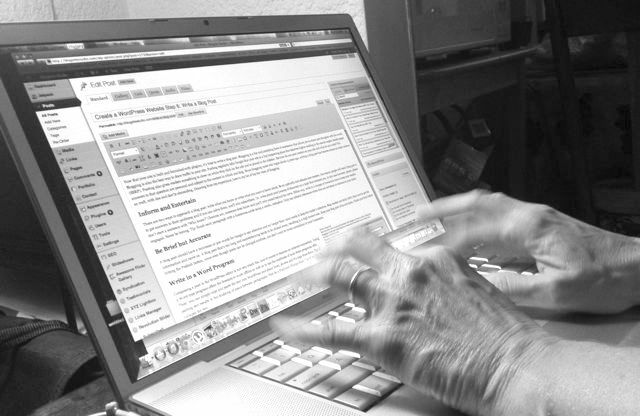 If you’re the kind of writer who loves nothing more than to stretch a sentence beyond its means, with lots of parentheticals and digressions – as well as jokes and asides – as if you were Henry James or somebody, then you will promptly need to quit the run-on sentence habit and shorten your paragraphs until they are quite literally simple sentences. Blogging is all about short sentences and even shorter paragraphs. That’s because people have shorter attentions spans online. Blog readers like to skim, not chew. With print writing, especially magazines, you don’t have a lot of room to give the backstory to every bit of supporting detail your article requires. In books, those kind of lengthy details are handled in footnotes, which are notes in the page’s footer. Footnotes can be fun and interesting, but they take up a lot of space. In blogging, hyperlinks do the work of footnotes. Links don’t take extra space and no one has read them unless they click on them. Such a great invention, links. Print editors typically require freelance writers to write in the second or third person because it’s more professional sounding. Bloggers are free – nay, encouraged – to write in the first person. It gives you, the reader, a sense that I’m talking straight to you. Like we’re buddies. When typos turns up in print, there nothing your can to do but kick youself and place a corrextion in the next isssue. With blogging, you can fix typos immediately and permanently, and only your first readers will be the wiser. So if you are a freelance writer and are thinking about taking up blogging, you’ll have to get used to these differences. 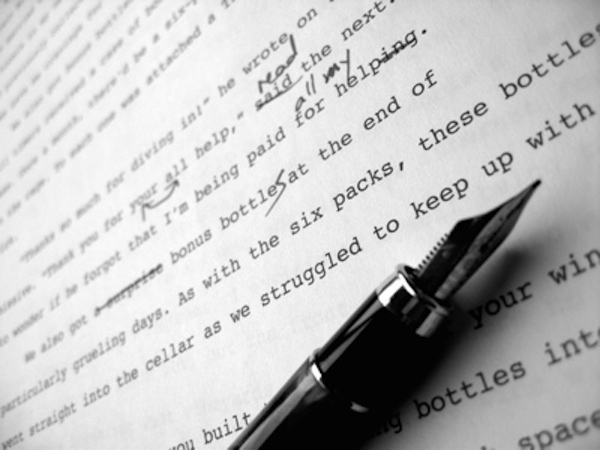 Writing and blogging are as similar as Budweiser and real beer. You’ll know the difference when you try it. 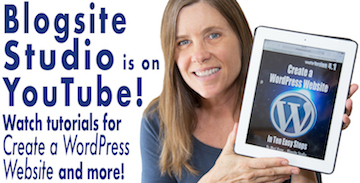 And if you haven’t already, please subscribe to Blogsite Studio and get my free ebook, Escalate Your WordPress Website. Cheers! You are awesome at writing. I learned a great tip! Thanks so much! Thanks Mari Kane! This post has answered my question. Glad to hear it Reddy. Cheers!